Starting from the back of the grid, having taken a strategic engine penalty in Germany in order that he might make the most of the RB14's anticipated competitiveness in Hungary, Daniel Ricciardo was relishing an afternoon of fun and games as he worked his way through the field and hopefully into the points. However, the decision to start the race on mediums made his job all that much harder, though he was up to sixth before he was forced to slow and subsequently stop following a suspected engine failure. Though he still had to pit for fresh rubber at the time of his retirement - as did Hamilton who was running fifth - considering the events of the final stages of the race there is every likelihood that the Australian could have left Germany with a decent point haul. 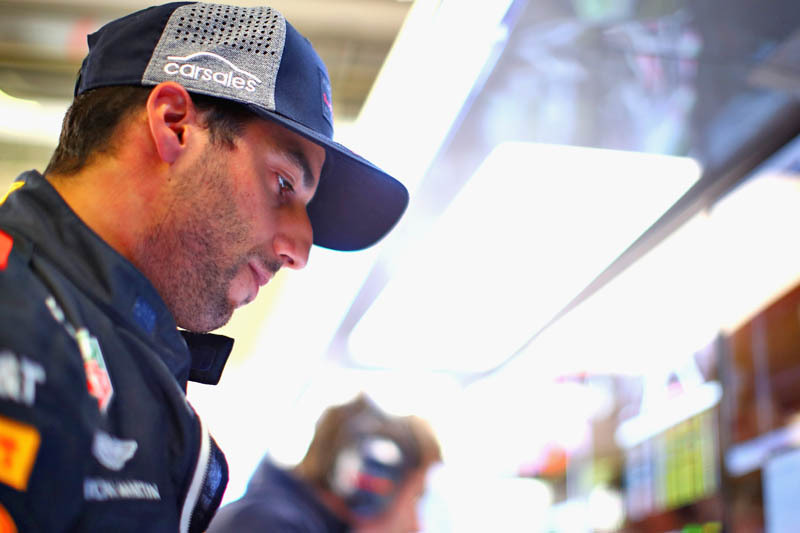 Instead, on top of leaving Hockenheim with another DNF, Ricciardo faces an anxious wait to see if he will incur further grid penalties in Hungary. "I felt it braking for Turn 6," he told reporters at race end. "When I was downshifting I heard something was funny, or not funny, sick. And then once I accelerated I expected something when I got on power and yeah, was under powered. "Then I could hear some noises, so it didn't sound healthy. I came on the radio straight away and I expected them to tell me to pull it over straight away, and I did. I haven't seen the team yet, I guess it's engine or something. "I think the race would have probably come to us, but yeah, just would have, could have, its racing. You know it too well. I've been here too often, actually. It hurts, it always does, but what do you do." In response to the weather, he revealed: "I actually, I put a clear visor on on the grid. I thought I'll change it up because they were saying there's a good chance it'll rain so I was quietly hoping. "But yeah, in any case I think towards the end of the race would have been fun, but yeah. We'll hopefully go and win in a week's time." Referring to his difficult weekend, the Australian subsequently tweeted: "Roll with the punches... even if they're coming from Tyson!" Compare here brand new betting sites for F1 and motor racing. Check out our Sunday gallery from Hockenheim, here.